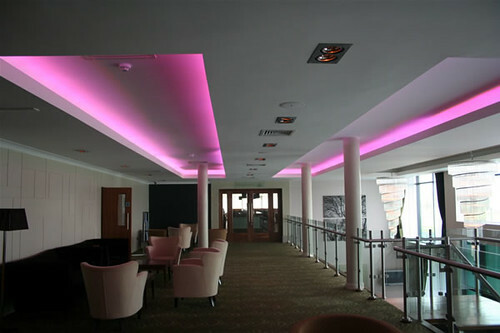 LED strip lighting is a cheap and cost effective form of decorating that has the added benefit of being an environmentally friendly and energy efficient form of lighting. So, thanks to its many advantages and possibilities it offers in creating innovative and unique lighting products , the diodes and LED light bulbs have become one of the preferred products of interior designers and architects who want to build unique spaces comfortable. These devices consist of a flexible led strips with adhesive on the back, whereby only lifting the adhesive protector, it can be attached to any surface where you want your installation. 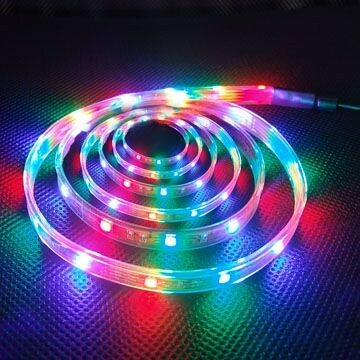 LED strips are available in various lengths, with different cross sections, in colors cool white, warm white, red, blue, green, yellow, and RGB, and operating voltages of 12 or 24V. LED strips are flat and usually only 3mm thick, so they are easy to hide and require little space. Strip lights can also be dimmed, unlike fluorescent tubes, so they are an easy switch between mood and strong task lighting. The led strips have several sections which we can cut and connect where we need. Depending on the model we can make cuts from a single LED, or portions of 6 LEDs. Their connection is very simple. We just need to cut the LEDs we need and feed 12 or 24 depending on the model. Next to each LED, there is a protection circuit has a double mission: firstly regulate the LED voltage, and secondly to protect the LED polarity changes, providing greater robustness and reliability of the product. Accent illumination gets more significance in large spaces, like a living room, where downlighters always need some supplementary lighting in the corners, or near the walls. 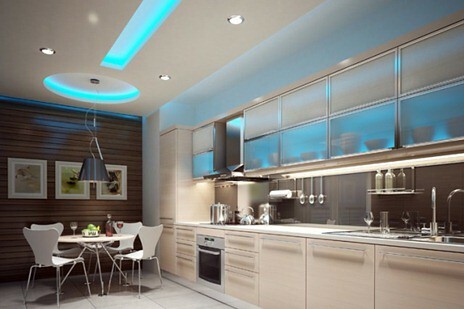 For this objetive LED strips for mood lighting are a perfect solution. These lights can be combined as multi-coloured strips too. LED Strips, Use Advantages and Benefits. Get color-changing LED strip light to add dynamic splashes of color to the most ordinary and extraordinary spaces. Among the features that have LEDs include: consume little provide a clear light, take up very little space, have a long life does not need significant maintenance, are constantly evolving. 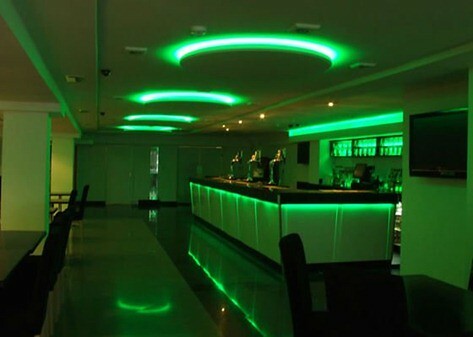 LED strips are suitable for any place decoration of apartments, houses, bars, roofs, signs, pubs, clubs, cars, etc. while greatly reducing your electric bill. 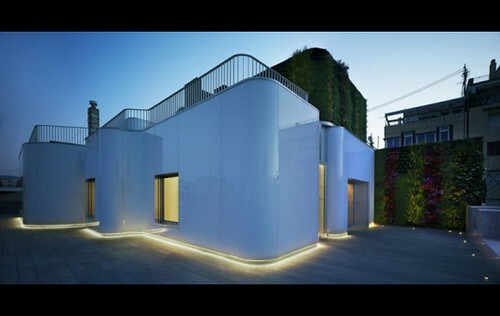 Highlight contours of objects, walls, ceilings,structures. Outline circular and square spaces with indirect light. Easy Installation – plug and play installation. No wiring requires. Cuttable and linkable – mix and match lengths and sizes to your choosing . LED strip lights which are bright enough for task lighting are excellent replacements for under cabinet fluorescent lights in kitchens. Also they can be used as an additional source of light around the bed, above any worktop or desktop. LED strips, working at 12V are safe electronic devices and therefore can be placed even within the reach of children. There is a couple of locations where dimmable LED strips are frequently used – especially because these places might require strong task light at times and mood lighting at others. Such places could be a strip running along the stairways, or edges of furniture, behind mouldings. These can be good places to add some supplementary lighting to the room, within a cabinet illuminating shelves or under-cabinet light illuminating worktops, around mirrors or pieces of artworks, or in bathrooms for vanity lighting. With strip lights it is easy to make small or narrow spaces feel larger, like a hallway or a corridor, which are often windowless and can always use some extra light. See how you can light up your kitchen counters and works spaces with flexible LED strip in regular and high-density brightness levels.